The Battle of Bar-sur-Aube was fought on 27 February 1814, between the First French Empire and the Austrian Empire. 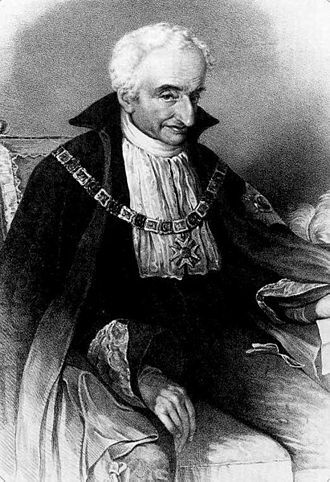 The French were led by Jacques MacDonald, while the Austrians and their Bavarian allies, forming the Army of Bohemia, were led by Karl Philipp Fürst zu Schwarzenberg. The Austrians were victorious. Napoleon I himself, having defeated the Allies at Montereau on 17 February, forcing them to retreat toward Troyes beyond the river Aube, had turned north to the valley of the Marne to try to impede the renewed drive toward Paris by the Army of Silesia (mostly Prussians) under Field Marshal Gebhard von Blücher; the marshals he left behind were ordered to make it appear as though he was still with them. 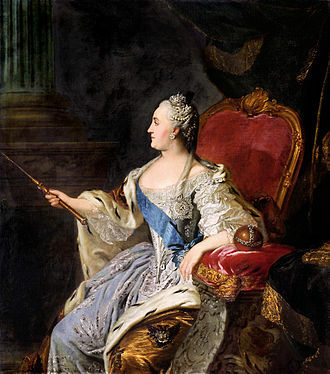 Schwarzenberg tested that assumption by advancing upon Bar-sur-Aube (in part because Alexander I of Russia and Frederick William III of Prussia wanted him to do so), and on the twenty-sixth Napoleon ordered Oudinot to follow Schwarzenberg to the town, near Troyes. When it was learned that Napoleon was preparing to attack the Army of Silesia, Schwarzenberg took the opportunity to strike first at Oudinot with a Russian corps under General Peter Wittgenstein and a Bavarian corps under General Karl von Wrede. Although MacDonald enjoyed a measure of numerical superiority at the outset, many of his troops were cut off from the main theater of the battle by their deployment astride the Aube and were therefore unable to participate, much of the French artillery being stuck on the wrong side of the river. Not only was MacDonald forced to retreat over the Aube, but he continued retreating for the next few days, pursued by the Allies and leaving Schwarzenberg in an advantageous position, able to concentrate his forces at Troyes as well as to take possession of the river crossings of the Seine. ^ a b Hale, Korcaighe P. (2006). "Battle of Bar-sur-Aube". In Fremont-Barnes, Gregory. The Encyclopedia of the French Revolutionary and Napoleonic Wars. 1. Santa Barbara: ABC-CLIO. pp. 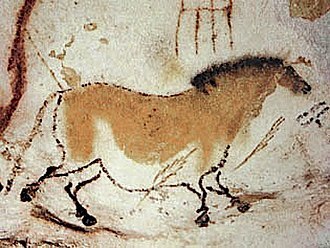 114–115. ISBN 978-1851096466. 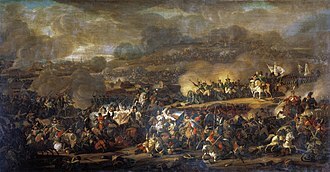 The Battle of Kulm was a battle near the town Kulm and the village Přestanov in northern Bohemia. 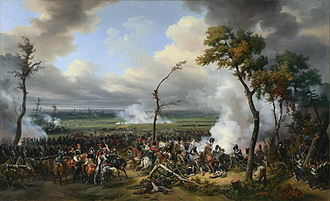 It was fought on 29–30 August 1813, during the War of the Sixth Coalition, following the French victory at Dresden, Vandamme pursued the retreating allies. Napoleon sent Marshals Gouvion Saint Cyr and Auguste Marmont to support Vandammes corps, with Vandamme in advance, Saint Cyrs and Marmonts corps brought up the rear. Vandamme caught up with Alexander Ivanovich Ostermann-Tolstoys forces near the town of Kulm, the situation was very dangerous for the allies, if Vandamme won the battle, the French would take the passes in the mountain, and the retreating Coalition army could be trapped by Napoleon. However, Ostermann-Tolstoy rallied all of his troops for a stiff defense, Vandammes situation changed the next day. 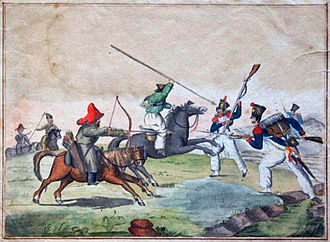 A Prussian corps commanded by Friedrich von Kleist attacked Vandammes rear guard, Kleist received help from a combined Russian and Austrian attack on his front, under the command of Generals Ostermann-Tolstoy and von Colloredo-Mansfeld. In an attempt to repulse attacks on his front and rear. The inexperienced French troops were unable to fend off the allies, the allies lost approximately 13,000 soldiers killed or wounded. In Vandammes corps there were two Polish regiments of Uhlans, part of cavalry divisions under the command of General Jean Corbineau and these regiments were used by Vandamme to defend against enemy cavalry charges. 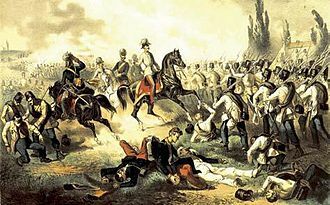 One regiment, commanded by Colonel Maximilian Fredro, was attacked after withdrawing to a defile, the other regiment of Uhlans, under the command of Count Tomasz Łubieński successfully withdrew. 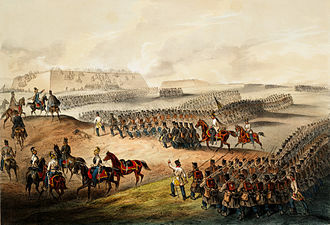 Thus, by winning this battle, Ostermann-Tolstoy and his troops succeeded in buying much needed time for the Coalition armies to regroup after the Battle of Dresden. 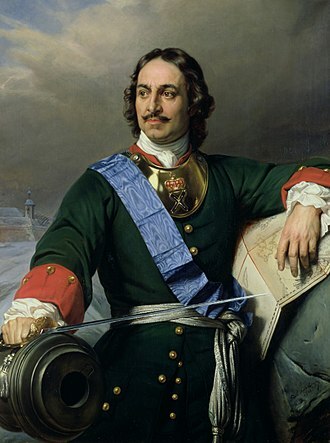 According to a French anecdote, after the battle Vandamme was brought to and accused by Emperor Alexander I of Russia of being a brigand and plunderer. 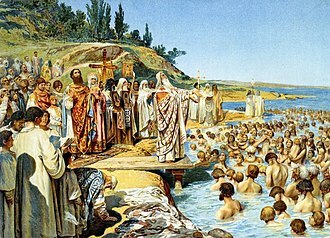 He retorted, I am neither a plunderer nor a brigand and this statement apparently hinted at the widespread belief that Alexander I was implicated in the murder of his father, Emperor Paul I.
Karl Philipp Josef, Prince von Wrede was a Bavarian field marshal. 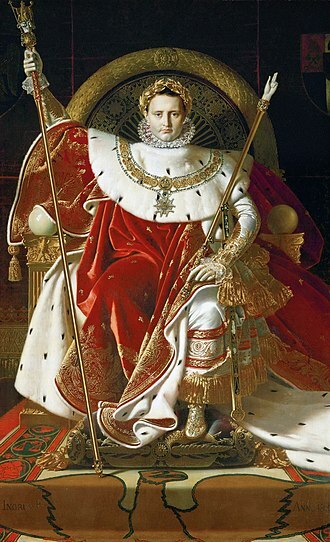 He was an ally of Napoleonic France until he negotiated the Treaty of Ried with Austria in 1813. This corps excited the mirth of the well-drilled Austrians with whom it served, but its colonel soon brought it into a good condition, Wrede soon made himself very popular, and distinguished himself in opposing the Austrian invasions of 1805. In the War of the Fifth Coalition, he led the 2nd Bavarian Division in the VII Corps and he played an important part in the Battle of Abensberg on 20 April 1809. In the morning, he probed Joseph Radetzkys Austrian defense at Siegenburg, unable to make headway, he marched his division north to Biburg and crossed the Abens River. 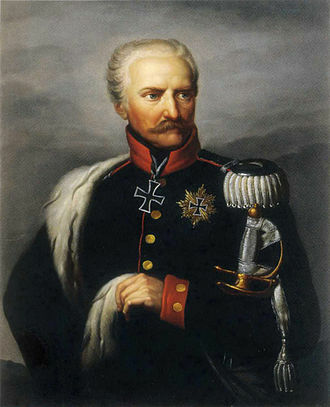 From Biburg, he moved on Kirchdorf and attacked Frederick Bianchis reinforced brigade, when the Austrians retreated, Wrede aggressively pursued them to Pfeffenhausen late that evening. He led the advance from Pfeffenhausen and was involved in the Battle of Landshut on 21 April, on 24 April, his division was defeated at the Battle of Neumarkt-Sankt Veit when Johann von Hiller counterattacked in superior force. After occupying Salzburg on 29 April, Wrede moved southwest against the Tyrolean Rebellion and he pushed back Tyrolean irregulars at Lofer on 11 May and defeated Franz Fenners mixed regulars and Tyroleans at Waidring the next day. On 13 May, he played a part in crushing the division of Johann Gabriel Chasteler de Courcelles in the Battle of Wörgl. After the French defeat at the Battle of Aspern-Essling, Napoleon I of France called Wredes division to Vienna as a reinforcement, at first, Wredes division stood in reserve in the Battle of Wagram. In the afternoon of 6 July, the Bavarians were sent into battle in support of Jacques MacDonalds celebrated attack, in a successful charge on the village of Sussenbrunn, Wrede was grazed by a bullet. 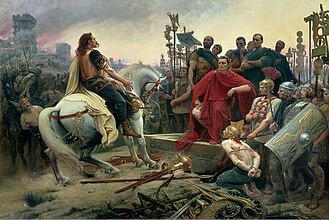 Fearing the wound was fatal, he told MacDonald, Tell the Emperor I die for him, I recommend to him my wife and children. Seeing that Wredes injury was minor, the French general smiled and replied, the embarrassed general got up and continued to lead his troops. View from Lycée Gaston Bachelard.